Located on Route 6a, Scargo attracts crowds all year long. Even in the winter you should make reservations for Friday or Saturday night - though you can sometimes find a spot at a bar table. 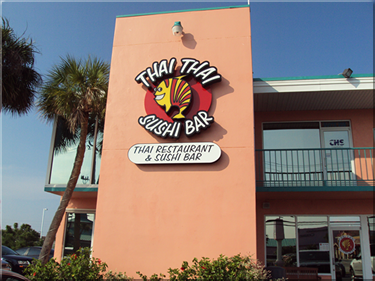 Its year-round thriving business is the result of great food at reasonable prices and a great atmosphere and staff. I can honestly say that I have never had a bad meal at Scargo. My must have dish there is the sweet potato dippers - fried slices of sweet potatoes and a honey mustard dipping sauce. My only qualm about these is the serving is not large enough! For those looking for a lighter (or less expensive) dinner - the appetizers, salads and sandwiches are a great bet. The Baked App Sampler - stuffed oysters, stuffed mushrooms, garlic shrimp, scallops and artichokes in garlic butter - for $15 can satisfy any seafood lovers appetite. For salads (all come with option of chicken, steak, lobster or shrimp) – the standards are available, - a great Ceaser with bacon, the blue-cheese “wedge” and a basic greens. But Scargo excels in its uniwue offerings – my favorite “Rockets and Cakes” - arugula tossed with dijon dressing, granny smith apples, cheddar cheese, walnuts, and topped with the most amazing potato cakes. 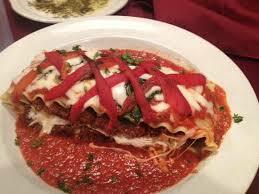 Scargo also serves some lower priced entrees, as well as weekly specials to fit a smaller budget. The atmosphere is lively, yet mature. Kids are welcome, and they are furnished with crayons and placemats, but generally Scargo is more of an adult restaurant. Ask about the Scargo VIP card – you gain points with every meal and get monthly coupons for anywhere from 10 – 25% off your check. For thin (emphasis on THIN crust here) crust pizza lovers this place will be number one on your list. They also serve your standard pizza place fare (subs, salads and apps), but its really all about the pizza here. While the crust is thin - the tomato sauce is chunky - ask for "less chunky" if you prefer. I've never met a pizza here I did not like, though my favorite is a custom version of their White 3 cheese pizza (Mozzarella, Ricotta, Asiago & Garlic) which I usually get with sliced tomatoes, or caramelized onions and bacon. For pesto lovers – they offer 3 versions of a pesto sauce pizza. For a more standard pizza I usually go with the plain chees or the pepperoni. These pizzas are great – not greasy with a slightly chewy/ crispy crust. Their topping are always fresh (or quality in case of meats – no fatly bacon here!) and they include things such as goat cheese, artichokes, sun dried tomatoes and roasted peppers. Pizzas are not the cheapest in town - but a large cheese for $14.50 is 18 inches and can easily feed 4 people. Also – if ordering by phone – be ready to run out the door to pick up your pizza – the thin crust cooks up fast and the pizzas only take about 10-15 minutes to cook! Delivery is available (I would call first, especially in the winter, the driver may not be working) and beer and wine is served in the restaurant (this is a self-seating pizza place – not a waiter / waitress type of place.) TVs also available inside, usually playing the Sox game in the summer. The Yarmouth location is on Station Ave in the CVS plaza. 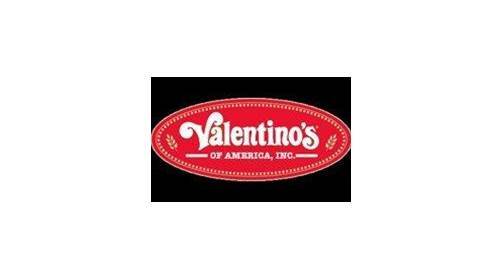 Obviously known for their dozens of biscotti options - the other sweets baked on premises - cakes, cookie, pies - are all great. They have a variety of cannoli shells (plain, chocolate dipped, etc. – ready for filling at your request.) Their decorated sugar cookies and gingerbread men are always a treat for kids. Other staples include half-moons, cinnamon rolls, muffins, Danishes and a variety of whoopee Pies. Looking for a deal? You can often grab a day old slice of cake / cupcake for a dollar! They also do custom cakes, pies, cookie platters, etc. for birthdays and other occasions. Cakes come in standard flavors (Chocolate and Vanilla) but also some truly delicious versions: Coconut Raspberry Jam, Tira Misu, Lemon Cream, Tri-Berry Cannoli Cream, Black Forest, Chocolate Mousse and more. For custom cakes you can choose your own cake, frosting and filling. Though they have a seating area, its more of a cafe than a sit down restaurant and most food is great to go as well as for dine in. If you are eating in, there are games and toys of children as well as adults (chess, checkers, books, etc.). Buckie’s also has a great community bulletin board for events, sales and local businesses and artists. The café is also decorated with a rotating variety of artwork for local painters, photographers, and other artists. Their cold sandwiches, wraps and salads are also a great option of take out when you are heading to the beach. Most sandwiches, etc is made to order, thou they do have a fridge with pre-made sandwiches, salads, soups, pasta salads, and quiches for those that want to grab and go. And for those looking for a unique Cape Cod gift – Buckies has gift baskets / gift boxes of their biscotti available for shipping. Standard flavors are Almond, Cranberry Orange, Lemon Pistachio, Walnut Chocolate Chip, Chocolate Chunk, Vanilla, Toffee Pecan, Fig, and Anise Toast. Specialties flavors also available. PS – Don’t forget Fido – Buckies sells homemade dog biscuits in singles and multi packs. Amazing homemade ice cream, available in the company stores or in select local grocery stores. A staple on 28 in Yarmouth for years – often causing traffic backups on hot summer night – finally opened a second location in Hyannis last year. The ice cream is amazing – though very rich – not something you want to be eating on a daily basis! It would be nice if they offered some lower calorie / fat options such as frozen yogurt – but Cape Cod Creamery is all about making the best tasting ice cream, and usually that does not come with a “lite” option. Flavors are varied and it always seems like a chore to choose between the 20+ options. All the staples are there (Chocolate, Vanilla, Mint Chip, Oreo, Fudge Swirl, Chocolate Chip, Butter Pecan, Pistachio, etc. ) along with others (Ginger, Grapenunt, Coconut, Snickers, Chocolate Almond, Bananas Foster, Brownie) and there is also a large mix in in area with dozens of candy and fruit toppings. I chose Marions rather than Centerville because I think Centerville Pie gets all the media (thanks Oprah) while Marions Pies are just as good if not better. My one gripe about Marions is the hours - they close at 6pm (winter at 5pm) so for those of us who work it is not convenient. And if you squeeze in there just before closing, they may be out of a lot of pies. Their savory and seafood pies are a great no-hassle dinner option. 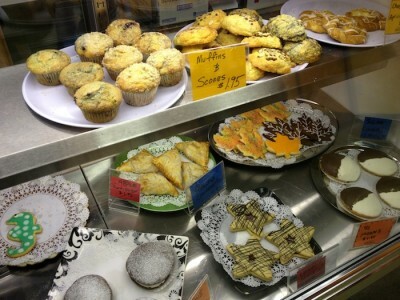 This is why I go here – the sweet pies are a bonus on top of these great savory pies. They offer a number of standard savory pies: Chicken, Shephards, Beef Steak, Clam, Seafood, and hamburger as well as an ever-changing variety of quiches. Sweet Pies include: Apple, Dutch Apple, Wild Blueberry, Blueberry Crumb, Cranberry Apple, Cranberry Peach Praline, Cherry, Bumbleberry, Baileyberry, Chocolate Cream, Lemon Meringue, Blackberry, Raspberry, Strawberry Rhubarb, Pumpkin and the list goes on. If you are looking for a grab and go place (a few seats are available) with great mexican food - look no further. Well, look a bit further because the resturant is kind of hidden off main street. 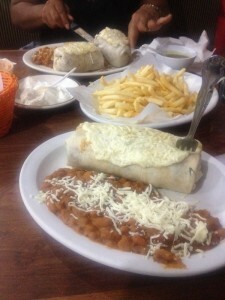 All your standards, tacos, burritos, empanadas, tomales, as well as daily specials at extremely reasonable prices. 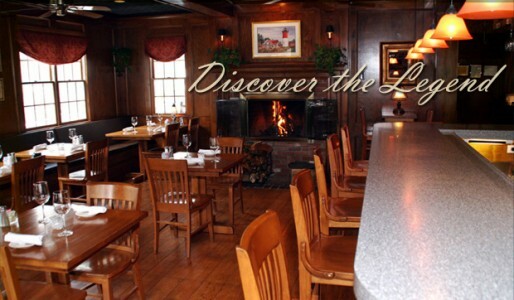 An American tapas restaurant and bar on Main Street Hyannis. Probably one of the more “urban” or “chic” type of restaurants on Cape Cod. This is not “old”or “quaint” Cape Cod. The food is great, and the small plates / tapas offering allows you to choose multiple offering without spending too much money. They have an extensive bra list with a large variety of wines, beers, martinis, etc. Tuesday is half price tapas! And half-price oysters till 6 pm! Which made everything deliciously cheap..
Amazing breakfast – they actually have a 100% rating on Urban Spoon – if that seems possible! Small diner (you’ll normally have to wait for a table) but food is fast and delicious. Most amazing thing here – multiple bacon options, (Applewood Bacon, Black Pepper Bacon, Cajun-Spiced Bacon) all of which are amazing. The Red Cottage serves standard diner options, eggs, pancakes, omelets and waffles. All the ”normal” versions are represented along with some great options like banana fosters French toast, Spinach & Caramelized Onion Crepes, the 3 Apple omelet, and the Corned Beef Hashlette / omelet. Looking for something other than lobster and clam chowder? Bangkok Cuisine is the best thai food on Cape Cod. Standards like Pad Thai and Curries are available, the meats seem good quality and the veggies are fresh and not greasy. There are not a lot of options for good, quaility dine - in or take out asian food on Cape Cod, but theis is one of them. Perennial favorite in the the best chowder contests – Captain Parkers is a Cape Cod Classic. Go for the chowder and other seafood offering if you go here. The “regular” fare – hamburgers, steaks, salads, are good – but a bit pricey. Though these are quite different styles of restaurant - I would have to go with Scargo as my favorite Cape Cod place to eat – simply for the fact that I have never had a bad meal or experience there.